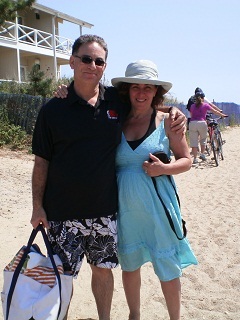 In 2004 Adrian Ginju met Lori Pailet and they both became swimming companions. One day they came up with the idea to start a swim school and named it Aquaskills. Almost immediately the response was viral because the demand was so high and the training so superior there was no comparison. Aquaskills has been actively conducting classes ever since. Adrian was born in 1959 in a small village in Sibiu, Romania. When Adrian was 5 years old he joined the village swim team. He had a dream to teach people how to swim which inspired Aquaskills. As a child daily rigorous training and devotion made Adrian qualify for the Romanian Olympic Swim Team. Adrian trained at the 23rd August Olympic Camp in Romania at the same time as other world class athletes. Adrian’s expertise and legacy is at the foundation of Aquaskills method. Lori Pailet, Director of AquaSkills LLC. Lori Pailet, Director of Aquaskills actively conducts classes in New York City and working on national expansion starting with great cities such as Nashville TN. and Surrounding Areas. We are working on expansion in Los Angeles, CA Chicago IL. and Wash D.C.
Lori Pailet was born in New Orleans, La in the 1950's. 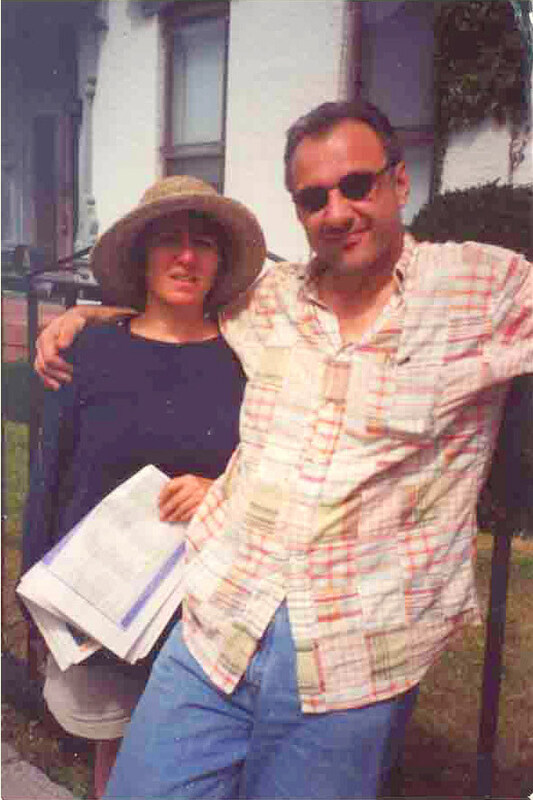 Lori spent the majority of her life in New York City’s Greenwich Village and Los Angeles, CA. She attended the Rudolf Steiner School on 79th and Madison and the United Nations International School in New York City. Lori later studied Art at Maryland Institute College of Art ,Hunter College, Pratt and later received a B.S. from SUNY. She also has a background in modern dance at Martha Graham, ballet at Robert Joffrey and Hatha & Kundalini Yoga. Swimming and moving gracefully has always been her passion. Originally a Fine Artist,and later a successful entrepreneur she ran a successful design company for over 15 years in New York City and has a great reputation in the business community in New York and Los Angeles. AquaSkill's instructors are mature, dedicated and highly skilled at teaching. Aquaskills methods are an integration of the skills of Adrian Ginju, a former member of the Romanian Olympic Swim Team, and Lori Pailet, a certified AEA (Aquatic Exercise Association) specialist, and our head instructor’s background as an All City Swimmer for the City of Los Angeles. All of of the swim instructors at AquaSkills are American Red Cross certified lifeguards, CPR, AED and First Aid. One acquires discipline, coordination, balance and harmony while swimming. Moving in the water is like sculpting and dancing as well as a meditation. We believe in an individualistic approach that comes with intuition as well as skillful instruction. Swimming is a life skill that will not only make a child or adult safe in the water, but will open doors to a plethora of outdoor water sports from sailing to scuba diving, and doing it safely. We are confident that everyone can learn to swim and its all about the creative approach of the instructors, but fear not everyone is possible to teach, and where there is a will there is a way. Swimming should be an exercise that everyone incorporates into their work-out routine. The amount of flexibility as well as agility one acquires increases the body's stamina and mental acuity. Swimming has zero impact on the joints so it is an exercise that people can do for the rest of their lives. The benefits from learning to swimming correctly will leave a person feeling empowered and have a lasting positive impact on ones health as well an elevated personal new sense of freedom. Learning to swim is an investment in a life skill that expands ones horizons and keeps people safe around water. Swimming is timeless, fluidity is key. Swimming is the Here and Now sports activity of the future..